MPH Digital is a new generation digital marketing agency founded in 2009 with a mission to help Twin Cities small businesses find customers and revenue online. What makes us new generation? We’re pioneering affordable digital marketing services for small businesses in the Minneapolis-St. Paul metro area and doing it in-market and in-person. 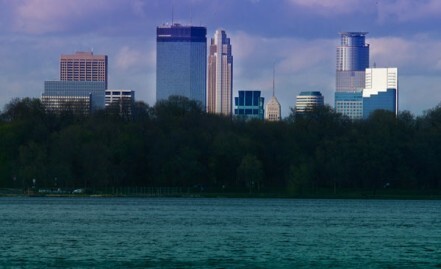 Currently Minneapolis and St. Paul area small businesses looking for online help can either find a do-it-yourself solution or call an agency that requires a monthly retainer in the low to mid four figures. The former is too difficult and uncertain, the latter too expensive for most. That’s where MPH Digital comes in. Founder and chief marketer Parker Hodges has 15 years of Twin Cities web experience in all facets of online marketing from content engagement to online advertising to SEO to mobile and social media. We have an office in St. Louis Park, but use it for work and not show. We have big-agency expertise without the price. How do we do it? This is where the other factor of ‘new generation’ comes in. We’re building a consortium of niche service providers we can pull together on an as-needed basis. Writers, designers, videographers, developers, photographers, coders are all available as needed and not part of our overhead. At MPH Digital we aren’t thinking of how you are going to help us. We’re thinking of how we are going to help you. Hopefully you can be found online. That’s the one place many businesses need to show up in today’s digital world and MPH Digital can help get you there. While the methods may be different, the basic needs are the same: Revenue from advertising and new customers. And if your business can be found it can be much easier to get both. MPH Digital helps web developers, web designers, marketing managers, and do-it-yourselfers get more accomplished, more quickly, and more completely. Our consulting services are affordable and will save you time and expense. A properly functioning website is integral in today’s business world. Websites need traffic to accomplish your goals. While all traffic is nice, the right traffic is even better. There are a variety of methods to get all types of traffic to your site. Some are structural and search-engine driven, some are paid ads on the web and others involve e-mail and social media. Traditional marketing methods are also proven tools for driving traffic. Many businesses feel like hostages to their web and internet service providers. Many have competent staff but can use some project development/management assistance. And some just need a little help with a wsywig CMS dashboard to get their e-commerce site going. Our services help you grow your website revenue either by increasing ecommerce or generating more leads online. We help our clients help their customers and we are eager to help you increase your website revenue. We help build you an effective website and develop strategies that will keep your customers coming back again and again. MPH is a professional company that grew up online. They didn’t start out as an ad company and move into the internet world, MPH was born to that world. With founder Parker Hodges’ experience, he will be able to help you decide the best plan for you company, whether you’re just starting out or have been established for many years. We can develop and implement online campaign strategy that could including creating landing pages, including social media opportunities and presence on site, maintaining updated site content, creating blogs and much more. Digital Marketing goals are diverse, the needs to accomplish these goals are diverse, and the solutions are too. MPH Digital team provides need based solutions that are measurable, adaptable, and affordable. MPH has already given many small to mid-sized business a new way to reach their customers with a stream-lined and effective web site. Our consulting services are affordable and will save you time and expense. And the first 1/2 hour is free – so you’ll know if we can help before you drop a dime.